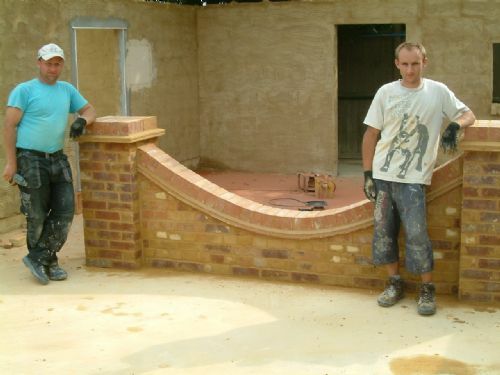 Bricklaying Courses at Goldtrowel in Essex offer so much hands on Bricklaying training courses that you will progress quicker than you would with any other training provider. Our dedicated Bricklaying Training Centre ensures that you have the space and facilities to produce outstanding work. 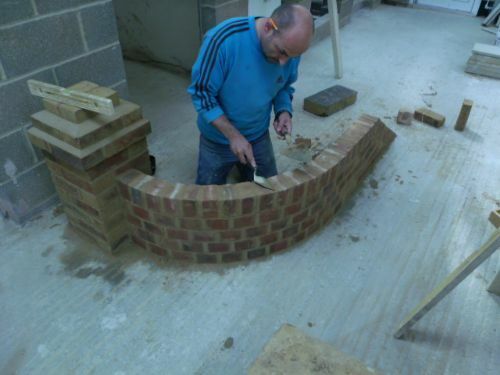 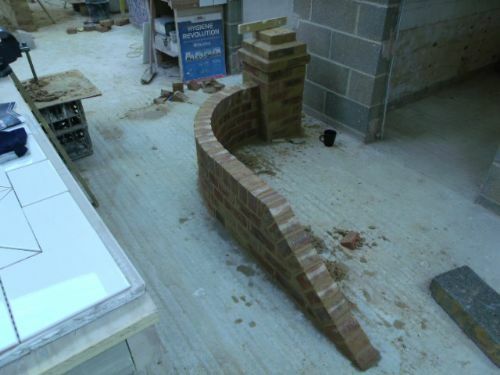 Practical Hands on Bricklaying courses will take you to the next level here at Goldtrowel. Please be aware that to work in todays construction industry you are now required to hold a CSCS card, this card can only be attained by having achieved a competence based NVQ, this course will give you that card enabling you to work in the industry, therfore when researching your course check that you will be able to obtain this card once your course has been completed. Even though our Bricklaying Courses are for beginners and advanced, we far exceed City and Guilds and NVQ Training. 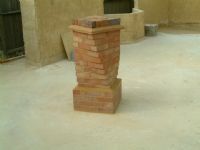 Please view our Gallery. Our Bricklaying Courses content, superseed any other UK Providers Bricklaying Course structure. We can Guarantee you will leave more than satisfied, with the standard you have reached. 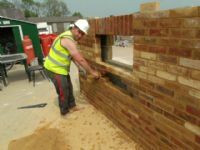 Pay-As-You-Train options to suit your needs are also available. In other words you can pay for your course by instalments. 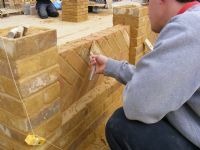 Our Bricklaying courses are from Beginner courses to Advance Bricklaying courses, Learning How to lay bricks, on your Bricklaying course can lead to a City & Guilds Bricklaying qualification. Hands on and Practical from the start. 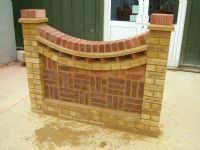 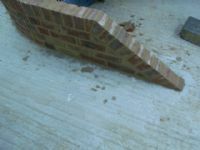 We also offer Weekend Bricklaying Courses. 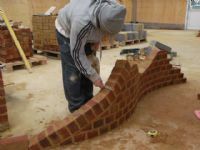 Whether you are a complete novice or have already tried your hand at bricklaying, we have bricklaying courses to suit your needs. 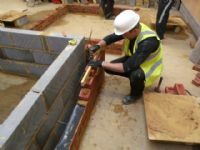 We ensure that all of the stages of bricklaying are covered so that even as a complete novice you will achieve your goals. 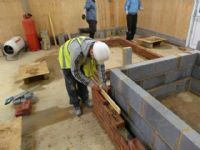 If you have a specific project in mind, our instructors will do their best to adjust the course to suit your learning requirements. 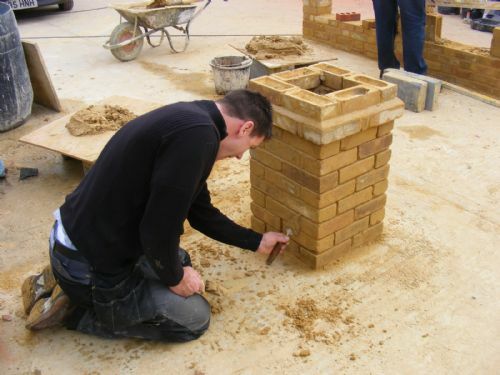 If you have building plans or drawings, bring them along and receive guidance from the Bricklaying Instructors. 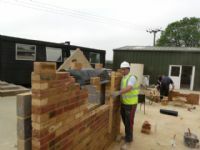 By browsing through all of our bricklaying courses, you will see that we have clearly displayed lesson plans so you know what training you will be receiving during whatever course you choose to undertake. Have no doubts about what we are offering, we fundamentally believe that we have the complete package,which is clearly evident in that we have had over 4000 sucessful outcomes since we were established. Your Instructor not only teaches but actually does it for a living. 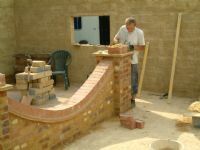 From Site developing to Domestic he knows his stuff which can only be advantageous to the students. You will be confident on completion of your course in tackling various projects having had the best training that Goldtrowel is known and respected for. 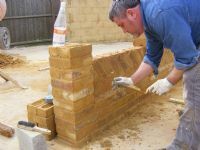 Mick Pearce delivers High end range bricklaying courses to those also wishing to pursue a career in Bricklaying. Verifier and Assessor he continues to teach develop all students with passion and hard work. 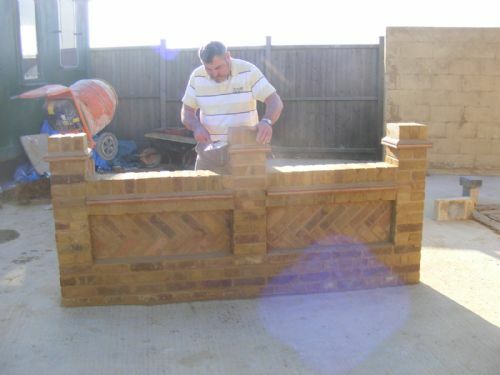 Bricklaying: - How to set out and gauge your brickwork. 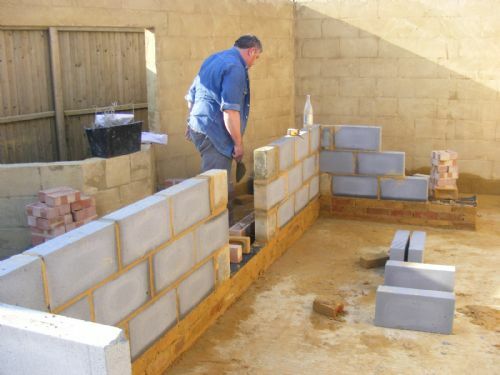 Bricklaying - Rules for Cavity insulation.